Your cat is a beloved member of your family, and as such, should be taken care of just like the rest of your family. That means making sure he or she has the proper vitamins, minerals, and other nutrients to remain at optimal health and provide you years of love and companionship. 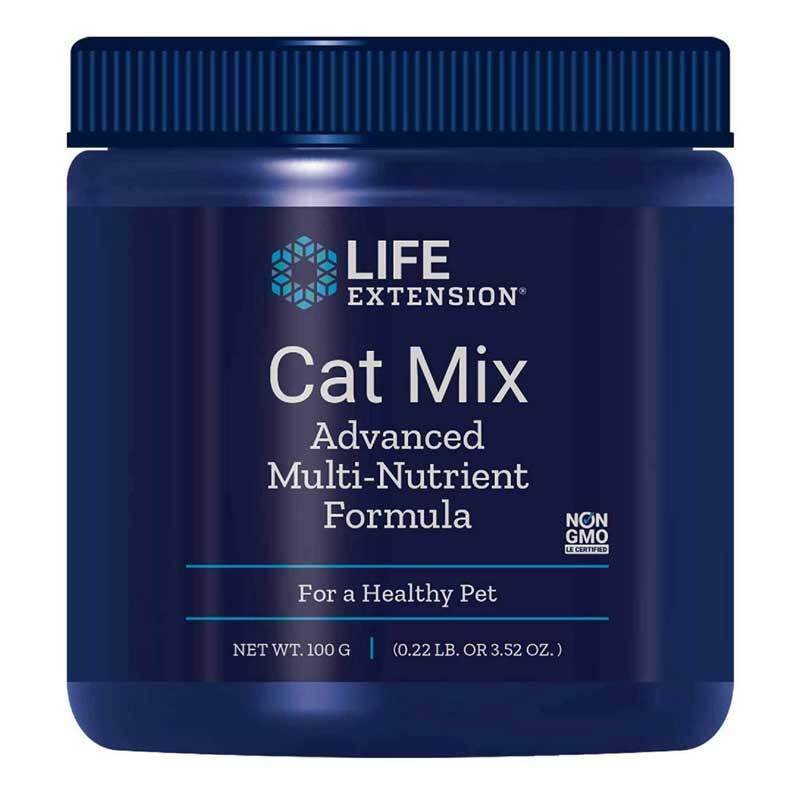 Cat Mix from Life Extension is an advanced multi-nutrient formula that supports the health of your cat with essential vitamins, minerals, amino acids, probiotics, and essential fatty acids. Your cats nutritional needs differ from other pets and differ from your own. Life Extension's Cat Mix ensure your favorite feline is getting everything essential for optimal health. Give your cat the love he or she deserves and try Cat Mix today! 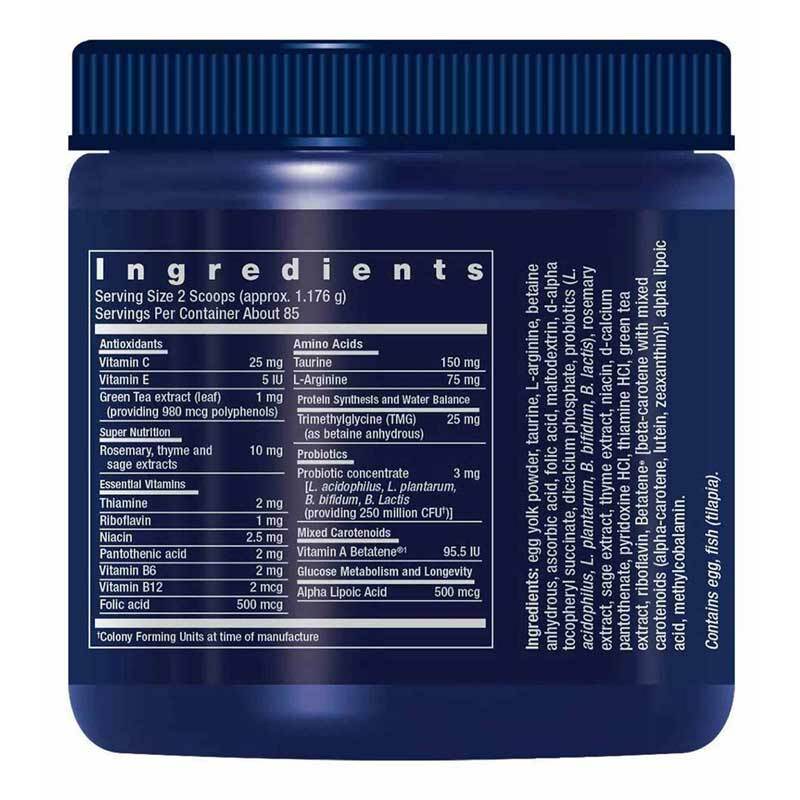 Ingredients: egg yolk powder, taurine, L-arginine, dicalcium phosphate, betaine anhydrous, ascorbic acid, maltodextrin, d-alpha tocopheryl succinate, rosemary extract, sage extract, thyme extract, niacin, d-calcium pantothenate, pyridoxine HCl, thiamine HCl, green tea extract, riboflavin, Betatene [beta-carotene with mixed carotenoids (alpha-carotene, lutein, zeaxanthin)], folic acid, alpha lipoic acid, probiotics (L. acidophilus, L. plantarum, B. bifidum, B. lactis), methylcobalamin. 1 - Betatene is a registered trademark of BASF SE. For cats weighing six to nine pounds, mix two (2) scoops a day into your pet's food. Adjust amount according to weight. Refrigerate after opening. Density may vary. Do not exceed recommended dose. Keep out of the reach of children. This product contains a chemical known to the State of California to cause birth defects or other reproductive harm. I bought this Cat Mix for my cat. I started giving him this and he loves it plain! He will actually bump my hand while trying to place it in his bowl. It is one of the supplements I give him that has noticeably improved his wellbeing. I love the Life Extension Cat Mix advanced formula for a healthy pet!! I've been mixing it in my canned cat food for several years & my cats love it & are very healthy! !